I'm one of those people who likes the idea of putting together complex outfits with tons of accessories, but in my day-to-day reality, running from photoshoots to meetings to appointments, I usually just end up putting on something easy, comfortable, and quick in the morning. 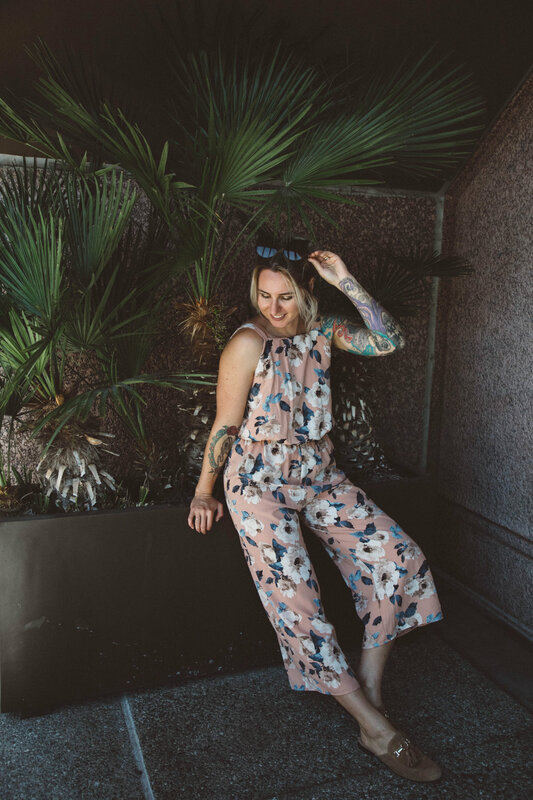 My go-to for a long time was trendy jeans, but about a month ago I discovered the unicorn of the fashion world: jumpsuits. 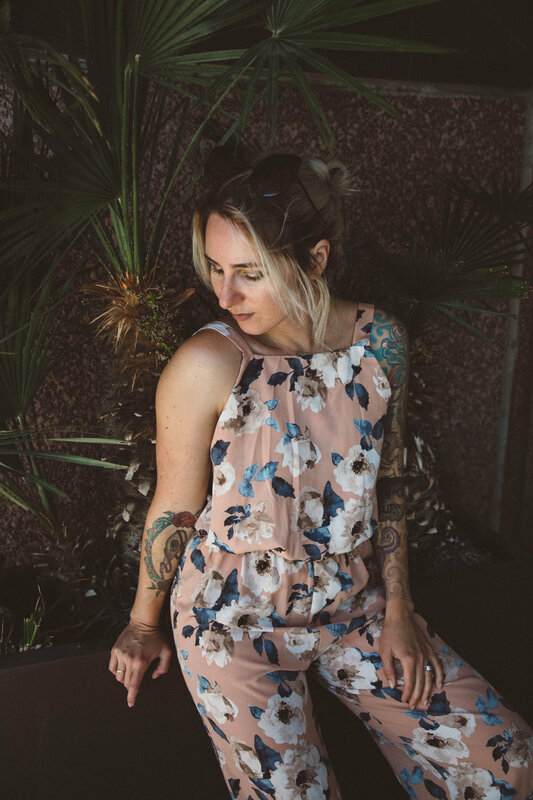 Jumpsuits are magical. 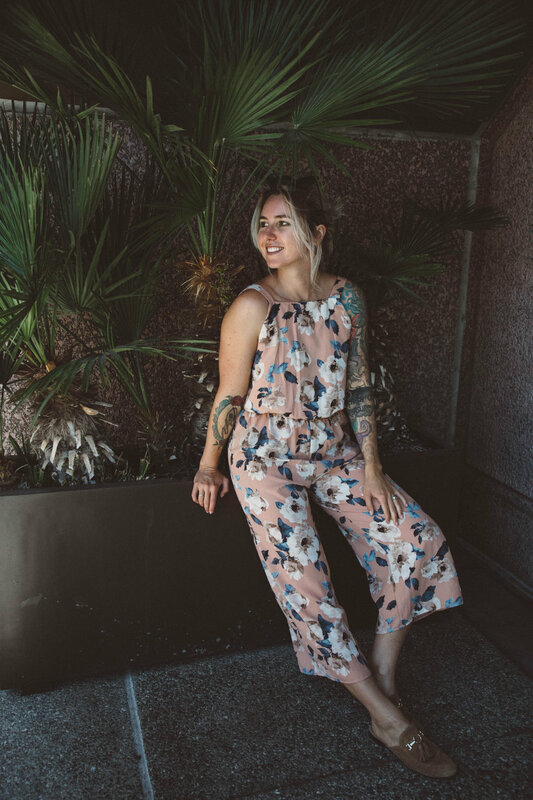 A cute jumpsuit is literally the only piece of clothing you have to put on before walking out the door (though don't forget shoes!). 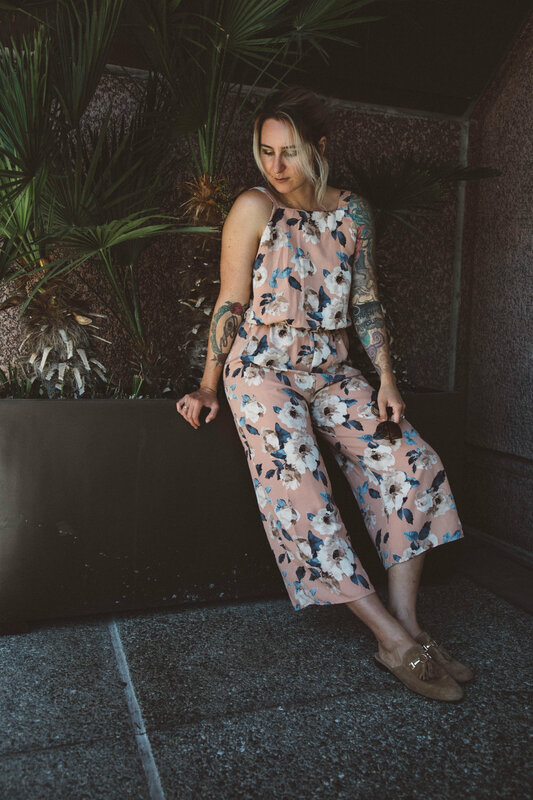 You can accessorize a jumpsuit if you want, but you don't have to, and you'll still look put-together. 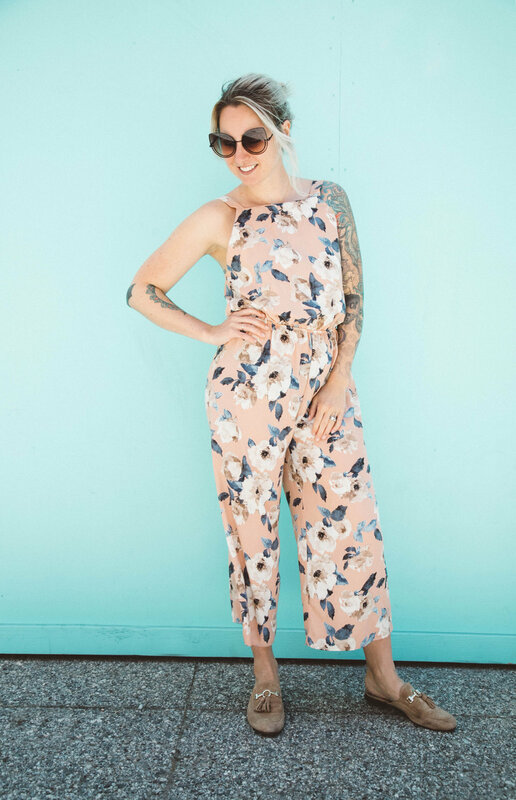 I've basically been living in this floral culotte waist-cinched jumpsuit that I bought last month. 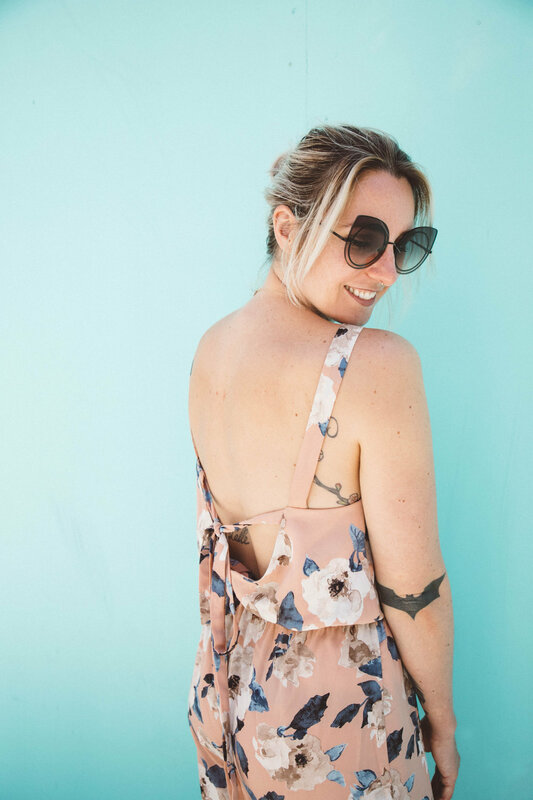 I pair it with my tan oxford slip-ons or brown booties and cute sunnies, and I'm good to go, which is so perfect for those mornings when I have to run out the door. So for those days when you're feeling down, rushed, or just lacking creativity, throw on a cute jumpsuit and life will instantly get better. Scroll down to shop this look!